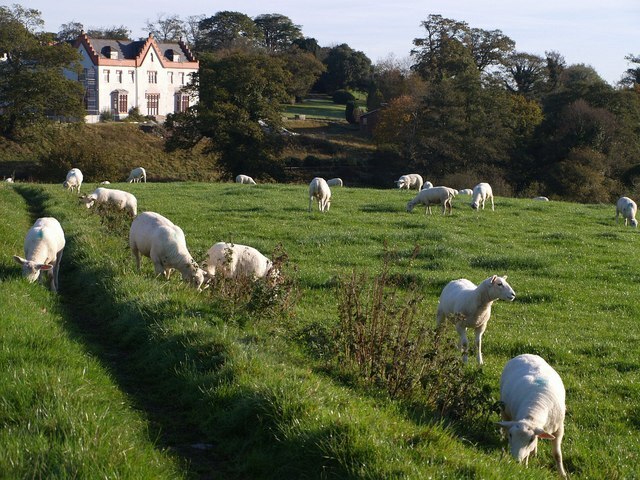 Trebursye Manor | Launceston Then! The Manor House of the Trebursye Estate is of the Elizabethan style of architecture and was designed by Sir Jeffry Wyatville. The Trebursye estate belonged to the Fortescue family during the late 16th and early 17th but passed on to Edward Eliot when he married Anne Fortescue the heiress to the estate. The manor continued in the Eliot family for many years, some of this family living to a great age. The present mansion house being built circa. 1814, by the Hon. William Eliot, MP., second Earl of St Germans, at a cost of £27,000. The north lodge was built c.1840-50 and the south lodge in 1888. 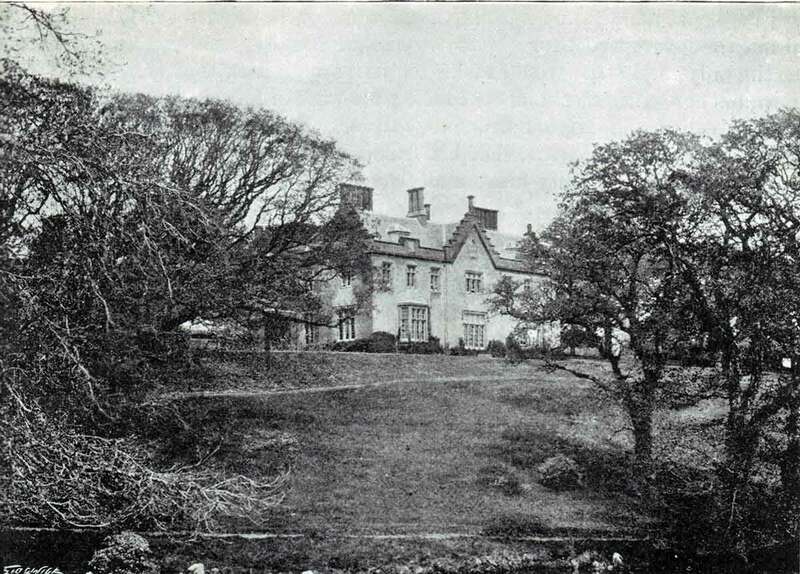 After the Eliot family the house was occupied by David Howell, Francis Rodd, and William Harris Arundell, sheriff of Cornwall 1811-12. 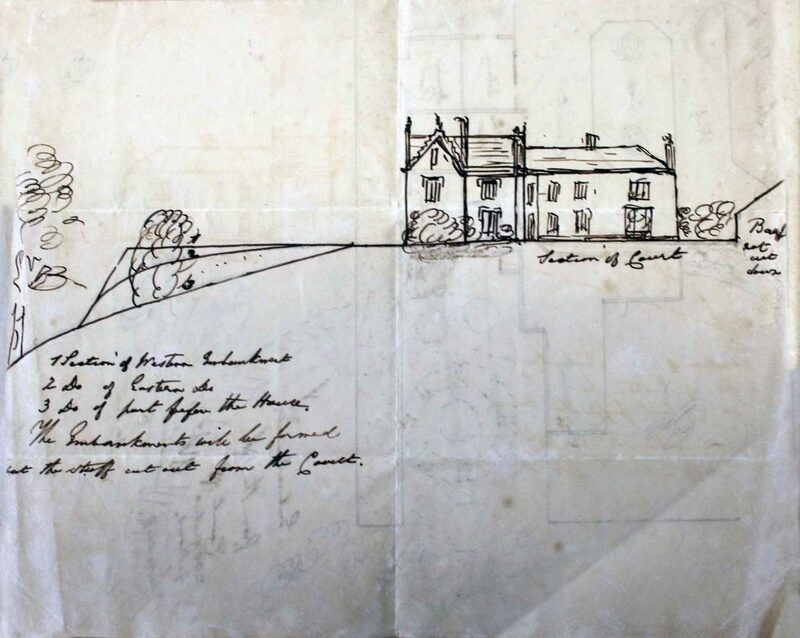 1840’s plan of Trebursye Manor taken when the gardens were laid out. 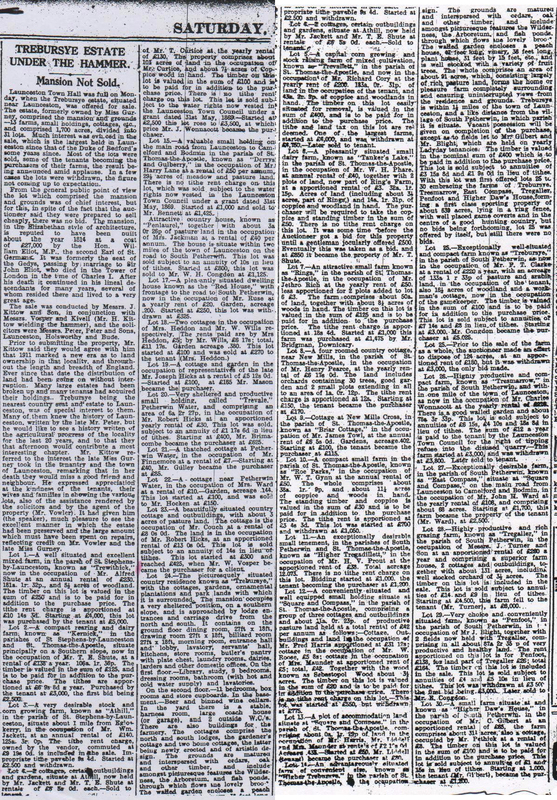 It was later purchased by Charles Gurney a solicitor from Launceston. 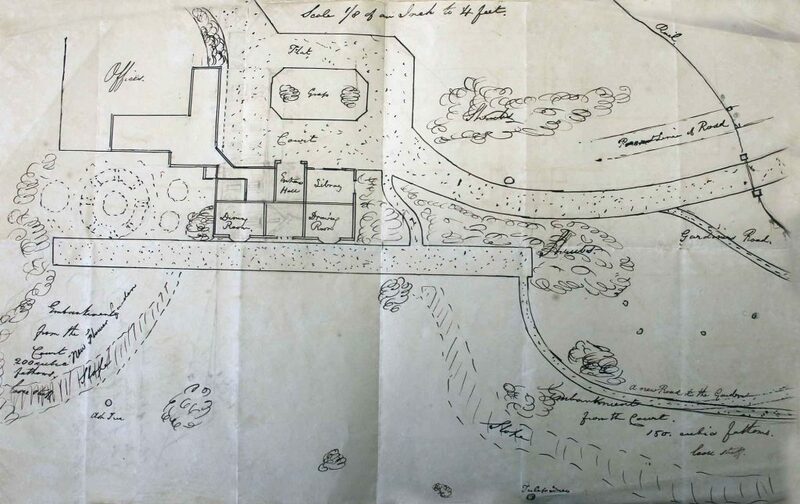 Charles added extensive land to the estate building it up to cover some 1,700 acres with property in the South Petherwin, St. Thomas and Egloskerry parishes. Charles passed away in 1891 at the age of 87 leaving his estate to Miss Ann Gurney his only surviving child. She passed away in 1923 and the estate was auctioned off at Launceston in 1924 (below). The proceeds of the sale formed the Gurney Trust which is still active today. Trebursye South Lodge in May 2016. In 1862 the Trebursey Mine which was located on the estate, gained considerable publicity by employing a traction engine for conveying its ores to Boscastle, the nearest shipping port. Built by Messrs Taplin & Company, of Lincoln, the engine was sent to Tavistock by rail, and thence to Trebursey by road – the latter part of the journey taking three and a half days. Being the first occasion when mechanical road haulage was used in the district hundreds of people went to the mine to see it, and a fearsome object it must have been with its huge rear wheels more than nine feet high. Several hundred tons of ore were then awaiting removal from the mine, and by the end of the year, after initial teething troubles, the engine was hauling three loads weekly to Boscastle and bringing back coal on the return journey. 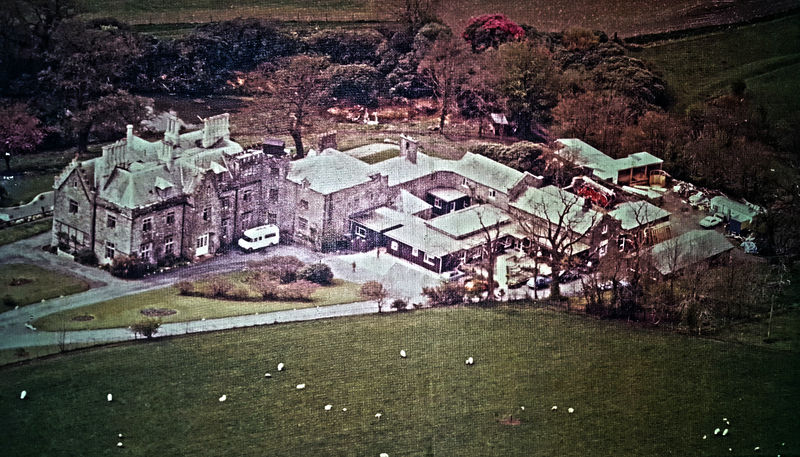 In later years the manor was used as the headquarters for Jefferies Ice Cream but for the last 25 years it has been converted for use as a residential home. 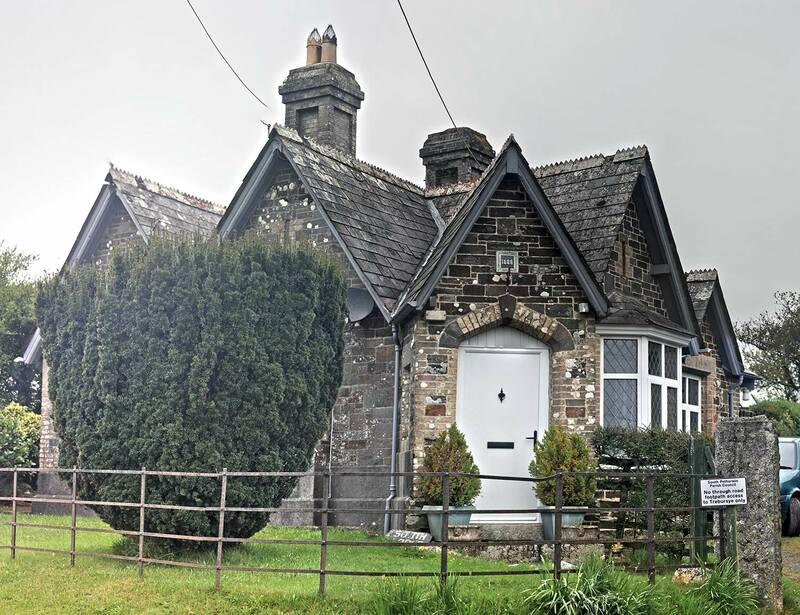 The name was changed from Trebursye Manor to Penbowder in 2010.